Graduation cards are starting to funnel in, want some great ideas for your special graduate? 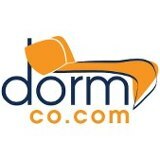 Check out Dorm Co.com for great products at super prizes. Help your graduate get all set up for their upcoming dorm stay! Be watching for Jubilee Reviews review of a fine graduation product.. An Alarm Clock!! Something my homeschoolers don't have a lot of experience with !